This post is actually going to be a combination tips & tutorials and a before & after because I managed to find a before picture of this pretty buffet, albeit, it’s terrible quality, it still gives you an idea of how far this piece came. So we unearthed this buffet and its sister dresser (you can check that one out here becoming the vanity for my main floor bathroom) during the clearing out of the farm house at the time of my Grandma’s passing. 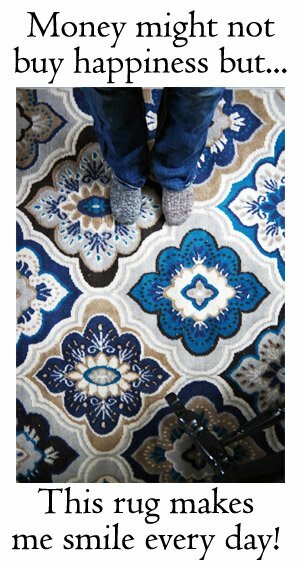 At nineteen years old my mom moved out of the farmhouse (yes, the very farm house this blog is all about!) and moved into her first apartment in town. This buffet and its sister dresser were her first furniture purchases but she didn’t have a whole lot of fondness for them – if I recall she grimaced and said, “They’re not worth anything, I paid almost nothing for them, don’t feel you need to save them.” But I kinda liked them, they had good bones and, though they certainly weren’t fancy, I really liked their lines and they were in incredibly good shape. So, after my mother had painted them in 1972, I started stripping them in 2013. I was twenty seven years old. I found her layer of paint came right off and, from there, the next two layers of paint showed that they had both come in green and blue before going in my mother’s choice of cream for forty years. After two sessions of Stripping with me in the garage, a scrub down with mineral spirits and several hours of sanding (you know, the usual) I hosed them down and then stained them in my mom’s choice of stain. I couldn’t believe how neat the front of the top drawer was of this buffet! I don’t think it was ever intended to be painted. I can’t forget to mention the grooves on the legs, do you see them there on the buffet? Yeah, total nightmare. 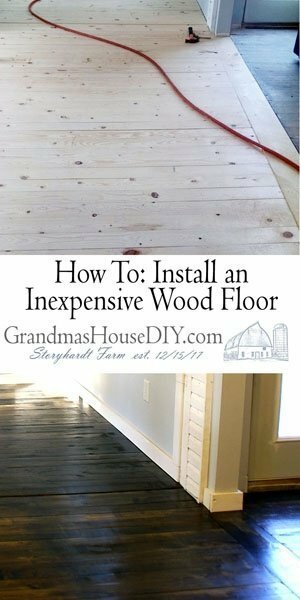 It was actually here that I learned how to use mineral spirits and steel wool after scraping off the stripper, it was the only way I could get the paint out of the grooves. Another neat thing about using my mom’s stain choice is that because I wasn’t able to fully sand into the grooves they ended up remaining quite dark and thus ended up being enhanced more so then if I had used my usual dark stain. Working on this buffet and its sister dresser was surreal. I wondered if someone had told my nineteen year old mother that her twenty seven year old daughter would some day strip the paint off of the dressers that she was painting, if she even would have believed it. 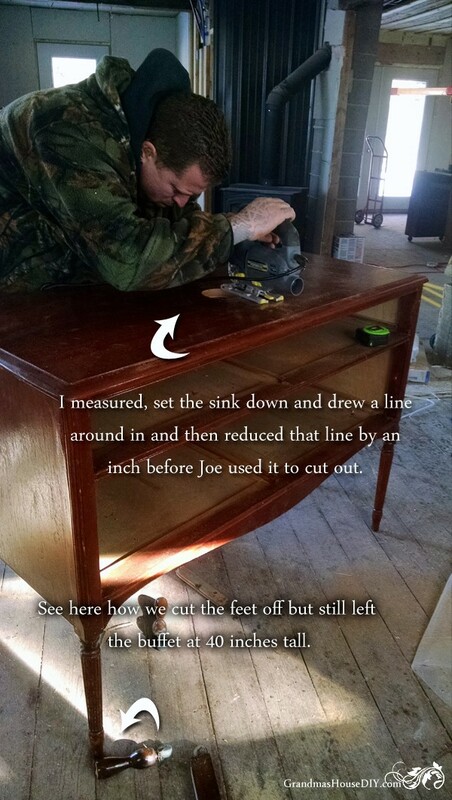 This is why I love refinishing furniture. Also, I found a shirt that had been jammed and lost (literally forty years ago by my mom) behind a drawer. I pulled it out, washed it and it fits me perfectly. My plan had always been to put them back into the house as vanities. 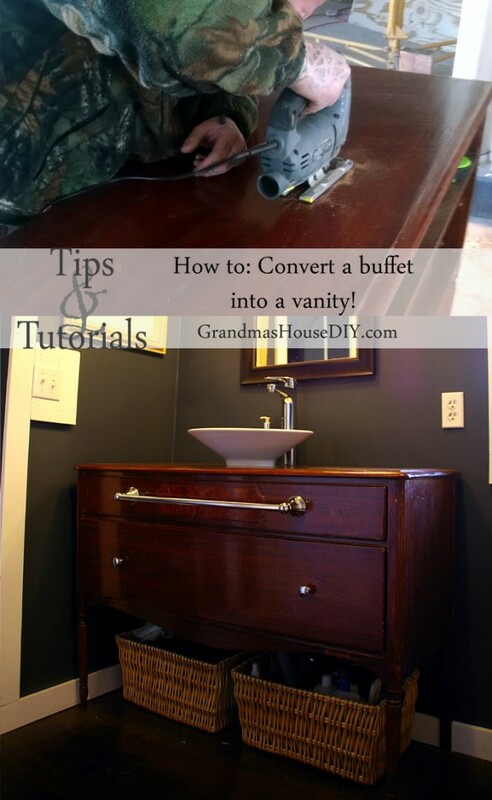 Just like in my last how to on how to convert a dresser into a vanity, converting this buffet into a vanity was quite simple and actually quite a bit easier then the other dresser. 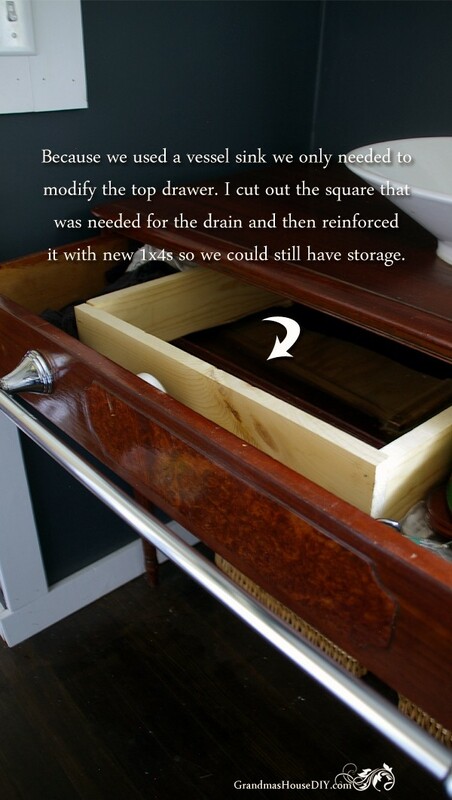 This buffet is BIG and has a wonderful amount of storage even after I had to modify the top drawer. Where the last dresser was a bit small for the sink the vessel sink I chose for this buffet only required a small hole cut into the top of it. 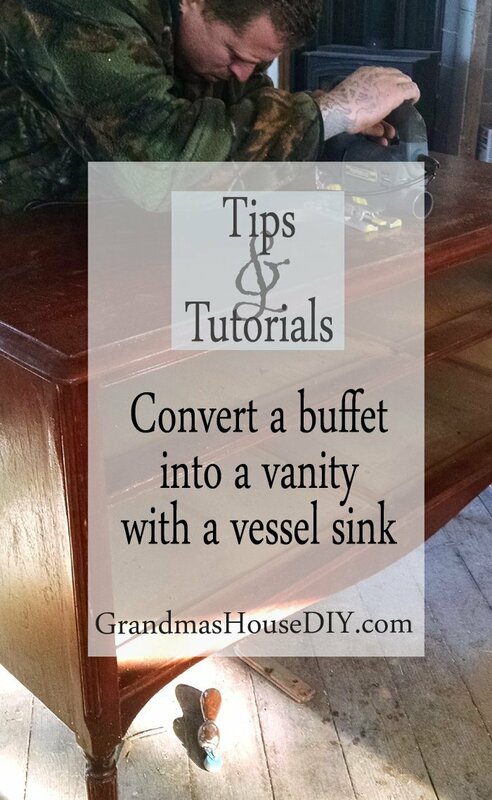 Also, because it was a vessel sink the drain was much higher so that also meant I didn’t have to modify the buffet nearly as much. 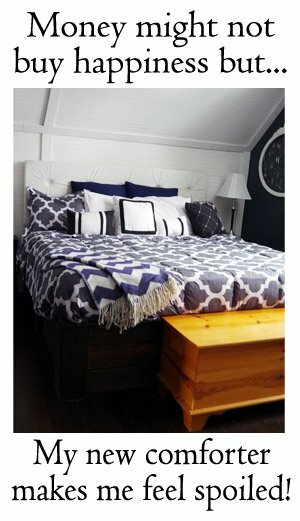 Like with the other dresser my ex husband and I converted into a vanity, I left this one really tall and love it. 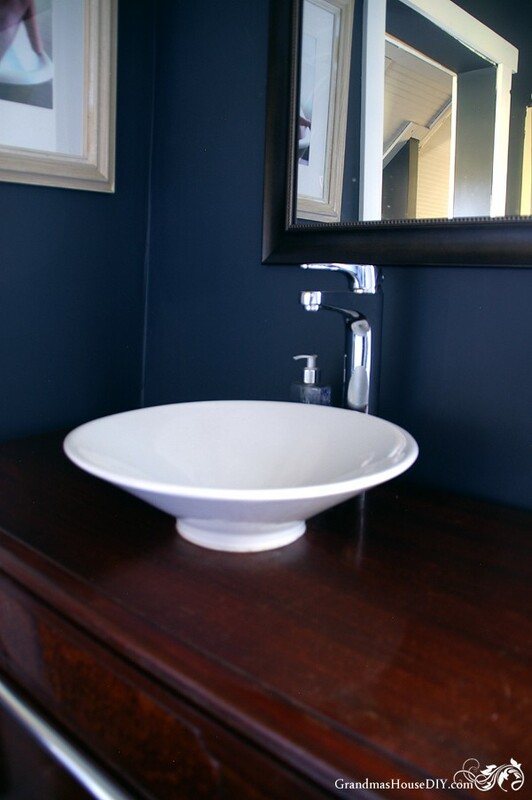 I’ve had people ask me often if I like the vessel sink and I will admit that it did take a little getting used to but, so far, I’m very happy with it. Other mentions, something I did not foresee was because this buffet is really so huge (what I love about it) it also means it kind of seems like I’m a mile from the mirror lol so it’s kind of a challenge to put on make up etc. The hardware is off of amazon and its an absolutely awesome deal click here to check it out. 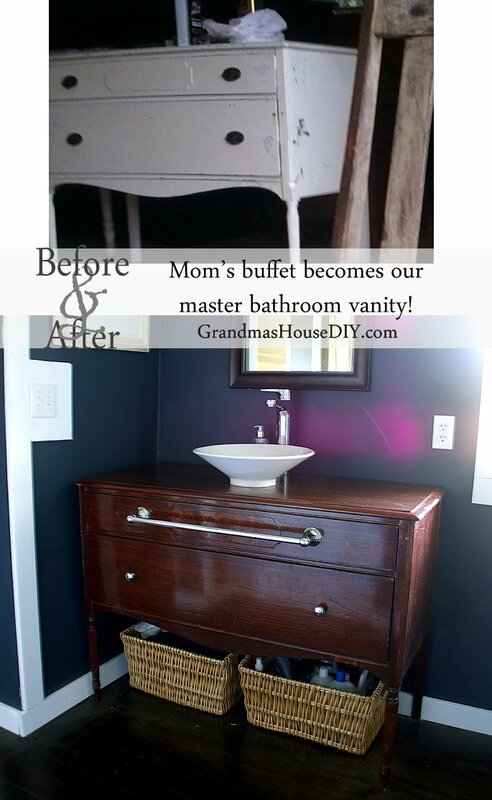 All in I am thrilled with this buffet for my vanity and have more storage then I would ever need. 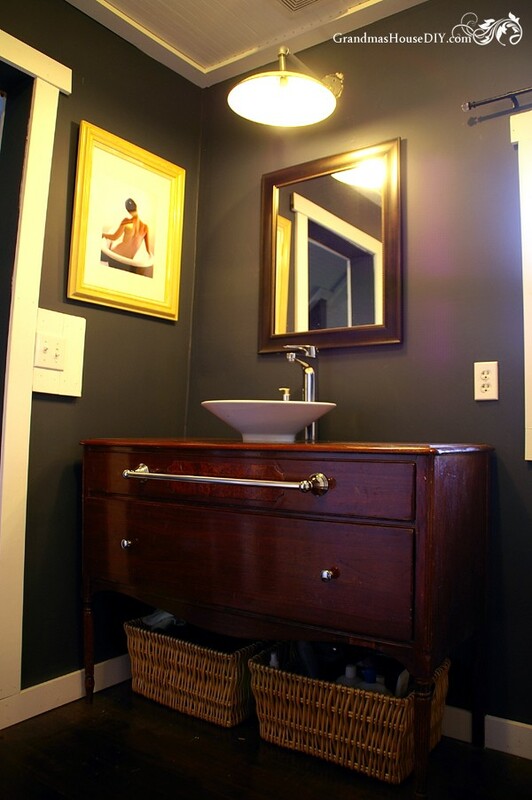 I put wicker baskets beneath it for toilet paper, my random extra soaps and towels.